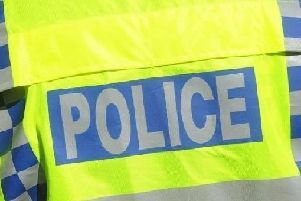 Police are appealing for information after a series of thefts from vans in Wendover and Halton. The first theft happened overnight between Friday 8 and Saturday 9 on Hampden Road, Wendover. In this case nothing was stolen - the reference number for this crime is 43180174650. A second van was broken into on the same night in Watermeadow Way and power tools were stolen - the reference number for this crime is 43180174164. The following night between Saturday 9 and Sunday 10 a van was broken into on Haddington Close, although nothing appears to have been taken - the reference number for this crime is 43180175627. Following the series of thefts police issued the following advice: “please remove all tools and other valuables when you park your vehicle. “If it’s not practical to remove tools from work vans, consider utilising a van vault, or secure box within the vehicle. “Make sure that anyone acting suspiciously around parked cars is reported to the police, at the time that you see them. Anyone with information is urged to call the police via the 101 number quoting the appropriate reference number listed above.